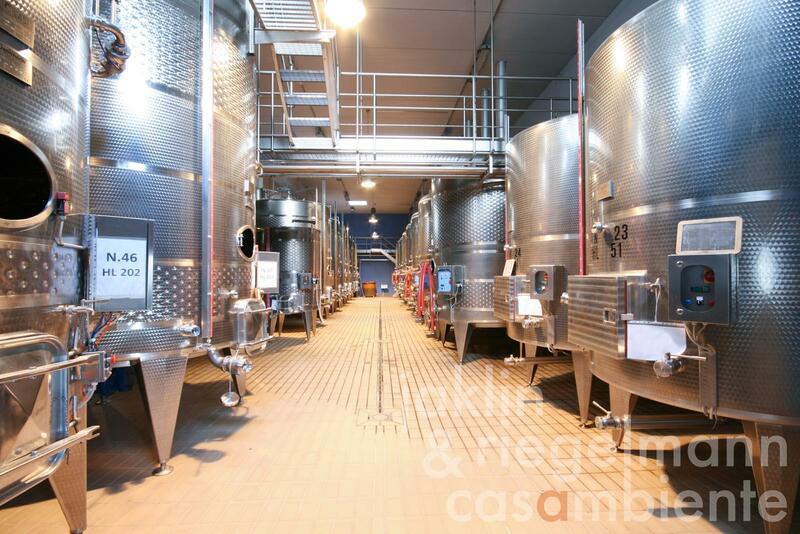 State-of-the-art winery for sale with subterranean grape and wine processing. The winery is located in Tuscany, facing south in a beautiful panoramic setting and views across the Maremma hills. The winery comprises about 47 ha of land, a subterranean three-storey wine cellar on 2,426 m² with state-of-the-art facilities and equipment, barrique- and bottle storage, own label, offices, conference room, show room, a professional kitchen, a complete machinery for winemaking and farming as well as a country house with pool, roman thermae and olive grove. The 27.7 ha vineyards are partitioned as follows: 19.4 ha Sangiovese, 2 ha Syrah, 1.5 ha Cabernet Sauvignon, 1 ha Alicante, 2 ha Chardonnay, 1.1 ha Vermentino, and 0.7 ha Fiano. Additional 2 ha are ready to be planted. Annual production amounts to about 140,000 bottles Montecucco DOCG- and Montecucco DOC wines. The capacity of the wine cellar reaches about 500,000 bottles, which could be fully utilised by purchasing additional 22 ha vineyards of a nearby winery and/or by purchasing selected wine or grapes, which could be processed and bottled on the premises. Optionally an adjacent plot of approx. 3,5 ha with a restored country house (180 m²), swimming pool and olive grove can be purchased. Italy, region Tuscany, province Grosseto, 35 km from the coast. 45.43 ha with 27.7 ha vineyards in full production. Electricity, mains water, own well water, central heating, fireplace, air conditioning, gas connection, telephone, broadband internet access, satellite-TV, automatic gate, elevator, alarm system, swimming pool, carport, private parking, terrace, vineyard, olive grove, garden.